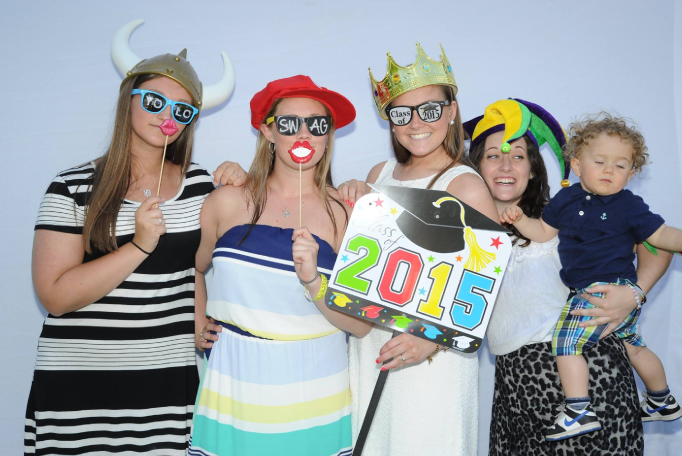 Make Your Event Unforgettable with 413 Photo Booth! Our attendants are trained by (David), the owner, a Professional Photographer, they know how to take great looking photos. 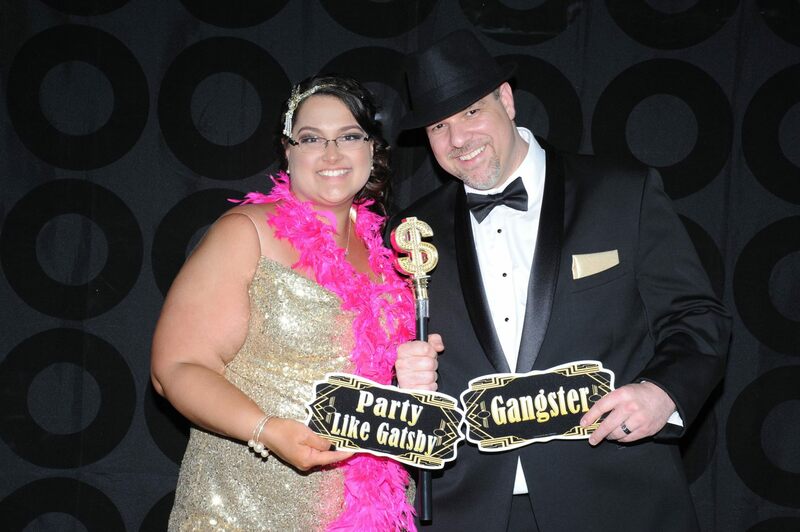 Our Photo Booths can make your party or event fun & exciting! Your guests will take home their photo strips (unlimited) to remember the occasion. 413 photo booth is the best photo booth value in the area. Starting at just $329.00 for 2 hours, we are the answer to your party needs. Look at our gallery, and see the top quality images and our awesome props. OUR OPEN AIR PHOTO BOOTH – THE BEST DEAL IN PARTY ENTERTAINMENT! We are different! Our Open air photo booth gives the same result as a traditional booth, but at big savings to you. Affordable prices, unlimited photo strips, back up equipment, plus great props makes us a best value. We want your business! Our open air photo booth, is a better option, not a small cube that fits 2 or 3 people. 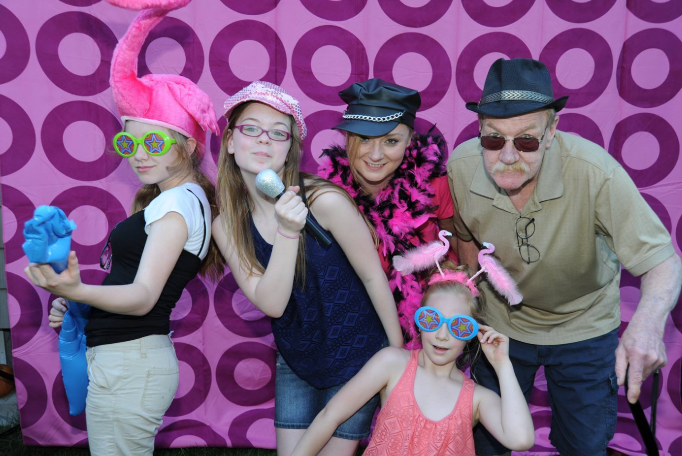 Our open air photo booth handles all size groups, has easy access for handicapped people. Owned by a professional photographer, (Portraits by David Photography Parent Company) our staff is trained by David, and they know how to take great photos. 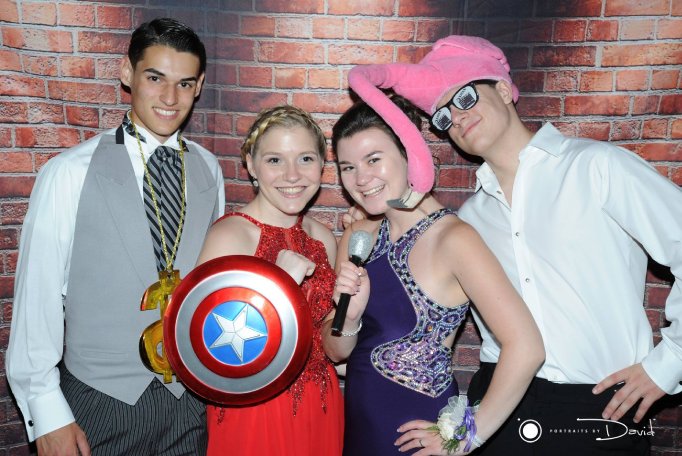 Our photo booth is great for Quinceaneras, Sweet 16’s, Weddings, Graduations, Family reunions, Proms, Class reunions, Holiday Christmas parties, Hanukkah celebrations the list is endless. Our Friendly, on time staff and fair prices makes our photo booth rental the best value around. **When we say unlimited photo strips we mean it. Absolutely everyone entering our booth gets a photo strip. No additional charge. This feature is included in all packages. We have earned 5 star ratings everywhere, because we deliver what we promise!! Unlimited Photo Strips! Each group entering the booth are photographed 3 times and a photo strip for everyone is printed instantly. If 5 people are in the group we print 5 strips, if 10 are in the group we print 10 strips. Unlimited Sessions, Absolutely no limit on the amount of times guests may use the booth during your coverage. We encourage everyone to come back as many times as they want. Our friendly staff make your party a great experience. Drop Box or Facebook upload of all photos we take at your event. Unlimited Photo Strips! Each group entering the booth are photographed 3 times and a photo strip for everyone is printed instantly. If 5 people are in the group we print 5 strips, if 10 are in the group we print 10 strips. Absolutely no limit on the amount of times guests may use the booth during your coverage. We encourage everyone to come back as many times as they want. We offer unlimited Instagram Twitter Facebook live wall prints for our low price of just $299.00. A deluxe scrap book with cover photo, made for our 2×6 photo strips. Colored Sharpie pens provided for personal messages in the book. We never use a basic ring binder craft store scrap book for our valued clients. We print an extra photo strip of each group for you, and set them aside for you to make your own scrap book later. If you need the booth set up early before the party starts. Our crew will arrive early, set up and stand by until you are ready for us to start. Idle time can be used during dinner to extend your coverage. Any questions? please ask us….